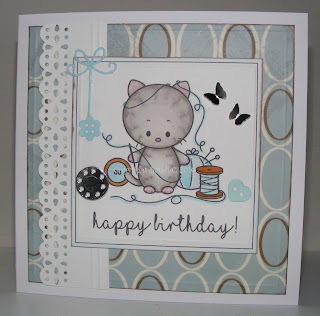 The image is by Kitty Bee Designs and is called "sewing kit"
So this card is for my Hubbys Aunt.. Her birthday is in a couple of days and she loves crafting, sewing, and cats! I thought they would suit this card brilliantly! diecut and snipped off the heart and popped on the button instead. The Lace border is also a diecut - from memory box. The backing paper came in a set I bought recently, in "The Works"
What a cute image and perfect for your Aunt. Love how you have put it all together. Thank you for joining us Digitally Sweet Challenges, hope you join us again. OMG, this is just too cute for words! wow. Thanks for joining us at The Crazy Challenge. Good luck. That image is very cute! I love the soft colors. 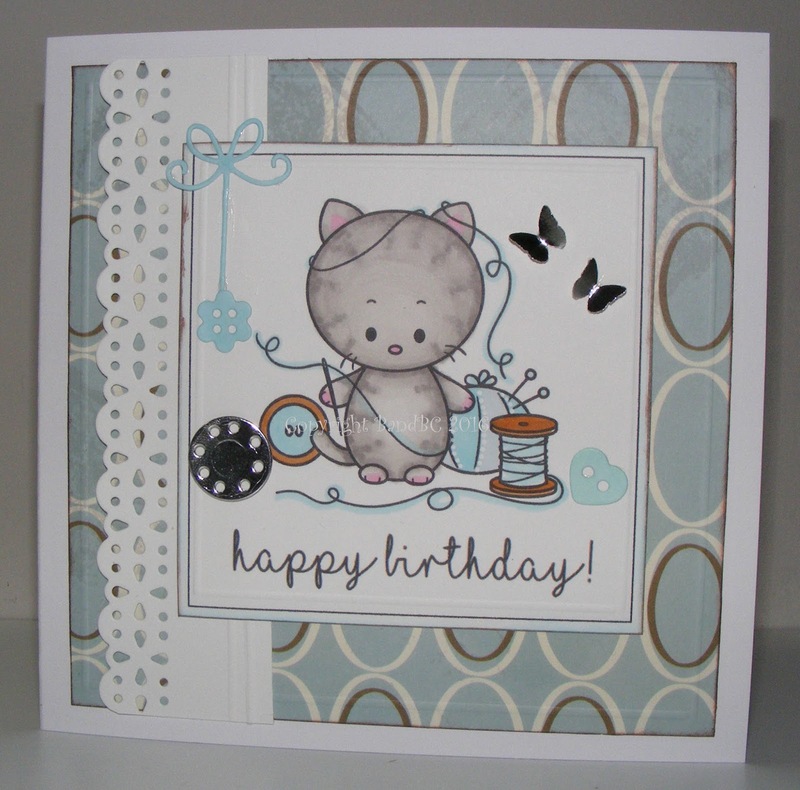 Thanks for joining us at The Crafter's Cafe Challenge blog! !